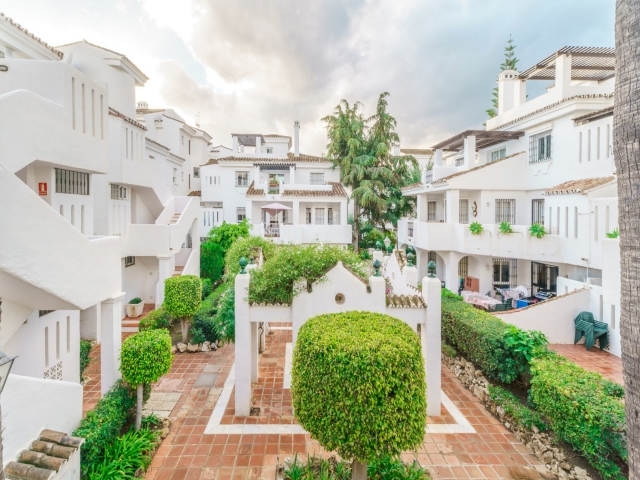 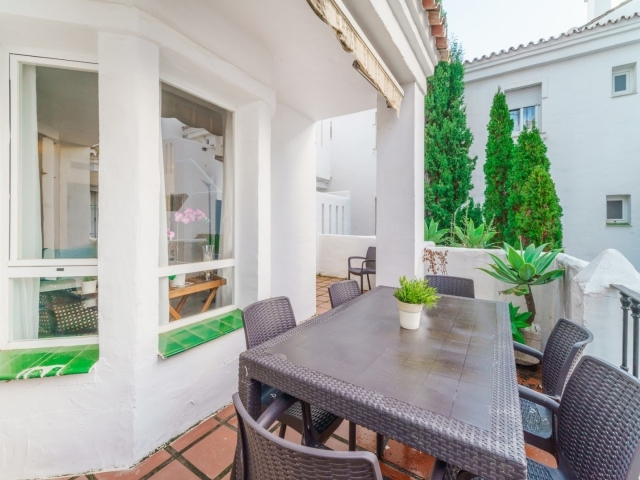 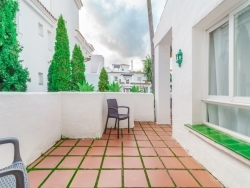 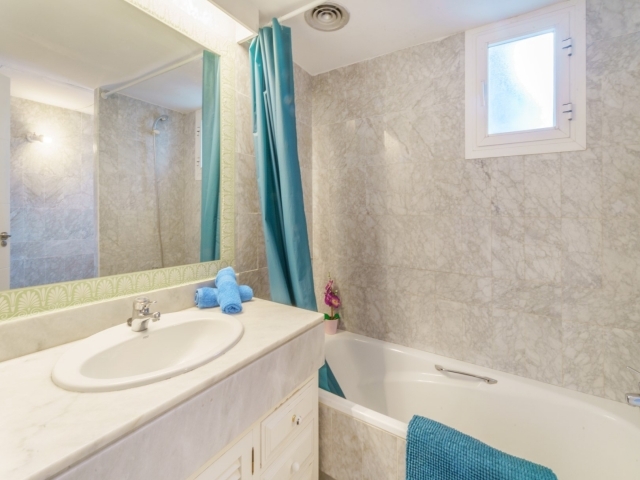 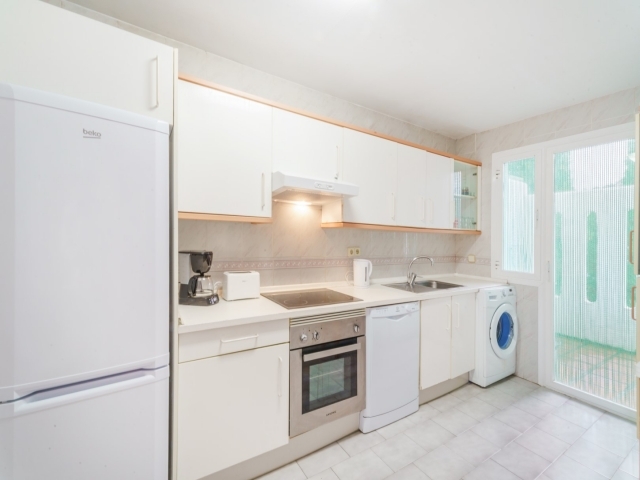 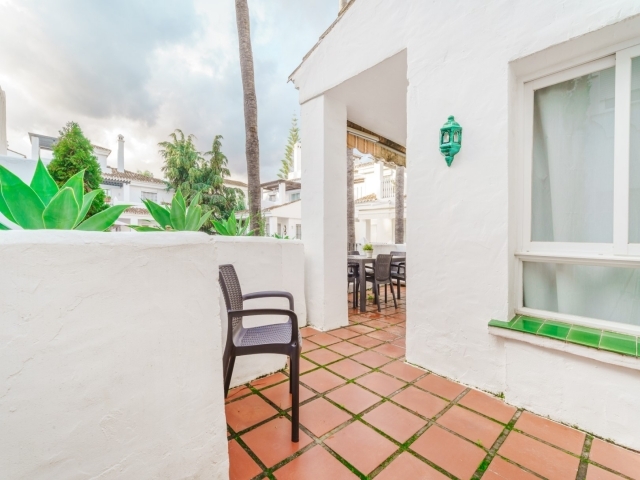 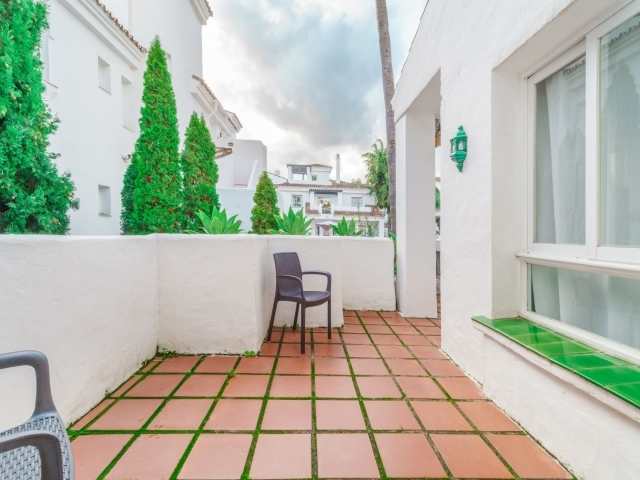 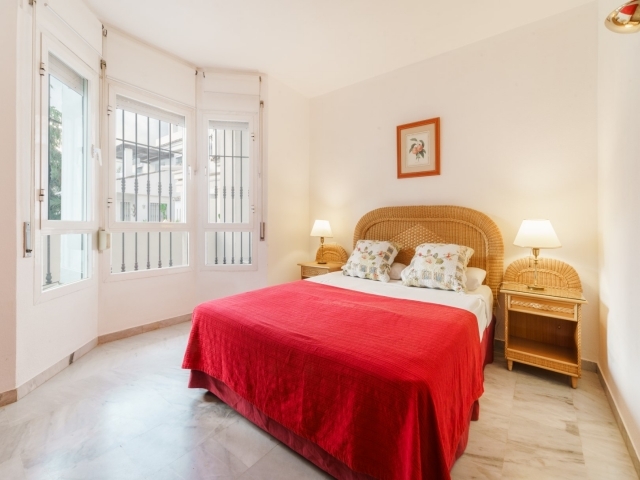 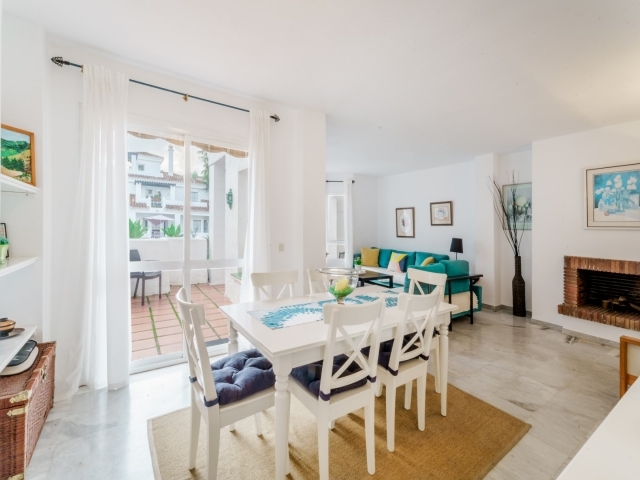 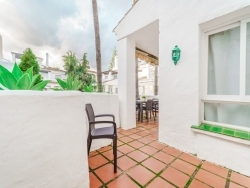 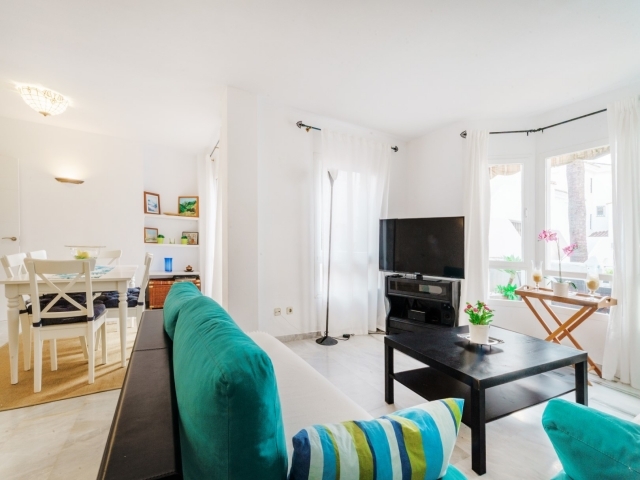 Great three bedroom apartment for sale in Los Naranjos de Marbella; a popular complex with communal swimming pools, well-maintained gardens, an on-site padel club, restaurant and tapas bar. 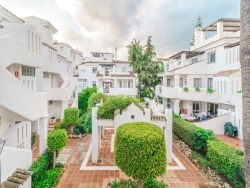 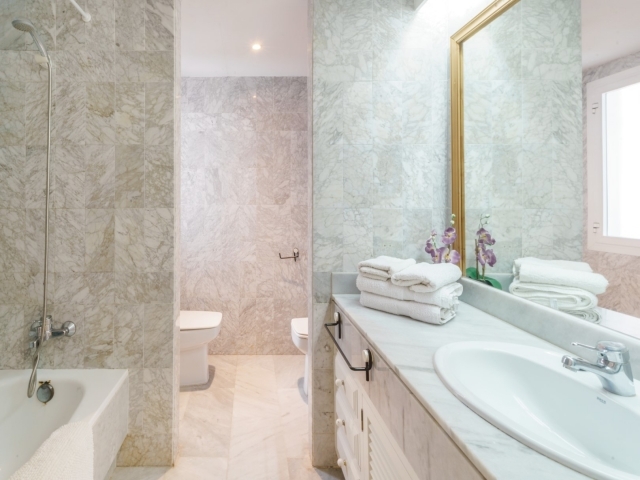 Close to a range of renowned golf courses and just a short drive to all amenities, including Puerto Banús and the beach. 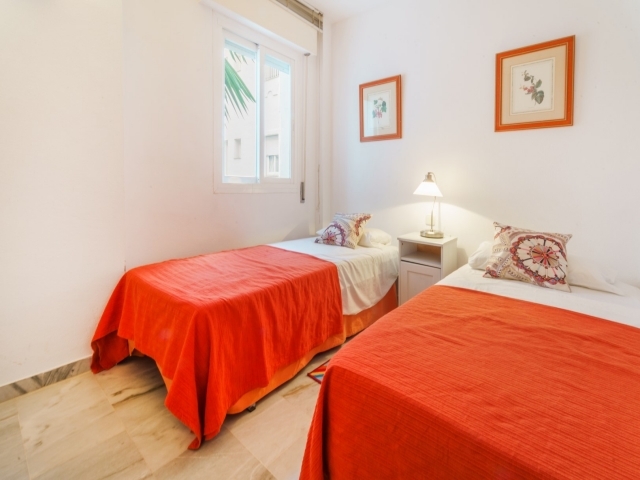  There is also a Mercadona within the complex and bus stops providing easy access to Marbella and San Pedro. 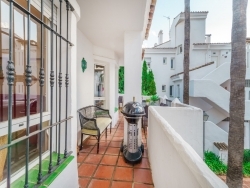 This first floor apartment is south/east facing and comprises a small entrance hall with fully fitted kitchen to the left and a combined living and dining room. 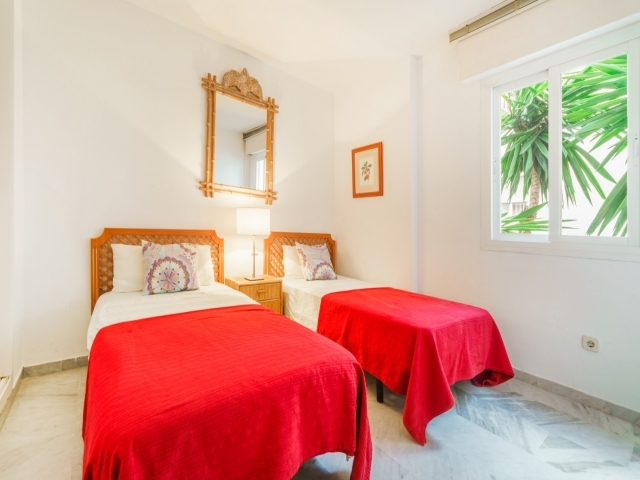 To the right as you enter you will find three bedrooms; two bedrooms sharing one bathroom and then the master en-suite bedroom at the end of the corridor. The terrace, which overlooks the communal gardens and boulevard, is accessed from the living and dining room. This is a great property in a highly convenient location.